Following a joyous and stunningly cohesive show in May 2016, Boiler Room rightly labelled the group as “pioneering the new-wave of U.K. jazz”. 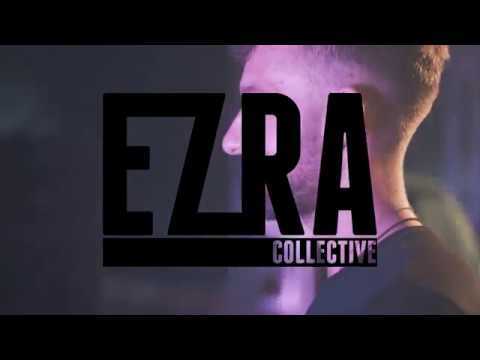 As the genre enjoys a new lease of life that is gaining momentum across the country, Ezra Collective are adding their own fresh and imaginative face to a style that continues to be “as entertaining as it is educational” (Trench). In a year that saw them sell out legendary London venue Ronnie Scott’s not once but twice, 2017 also bought with it the release of their genre-bending second EP, Juan Pablo: The Philosopher. After Ezra Collective took the EP on a successful tour across the U.K and Europe and completely sold out of the vinyl, Juan Pablo: The Philosopher went on to win the accolade of Best Jazz Album at Gilles Peterson’s esteemed Worldwide Awards in January 2018. Live photos by Rob Stainforth and Chazz Adnitt.